Jack Bannon stars in PENNYWORTH as “Alfred Pennyworth,” a boyishly handsome, cheerful charming, clever young man from London. Honest, open faced, drily witty; you’d never take him for an SAS killer. Alfred doesn’t know how to reconcile the kind-hearted boy he used to be with the cold calculated killer he was forced to become. He’s a man on the make, who doesn’t know what to make of himself yet. 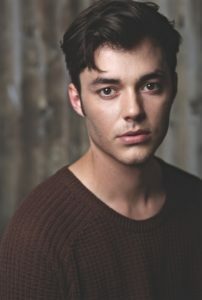 In addition to his role as Alfred Pennyworth in Pennyworth, Jack Bannon previously appeared in The Imitation Game and Ripper Street.